Hey! If you’ve been following along with me for awhile, you’ve noticed that my online presence the last few months has been spotty, at best. Well, there’s a reason for that. I’m expecting a BABY in September! I’ve been tired and preoccupied, so I haven’t been on the computer very much. I do have a few things I’ve been saving up to show what’s been going on in my classroom. 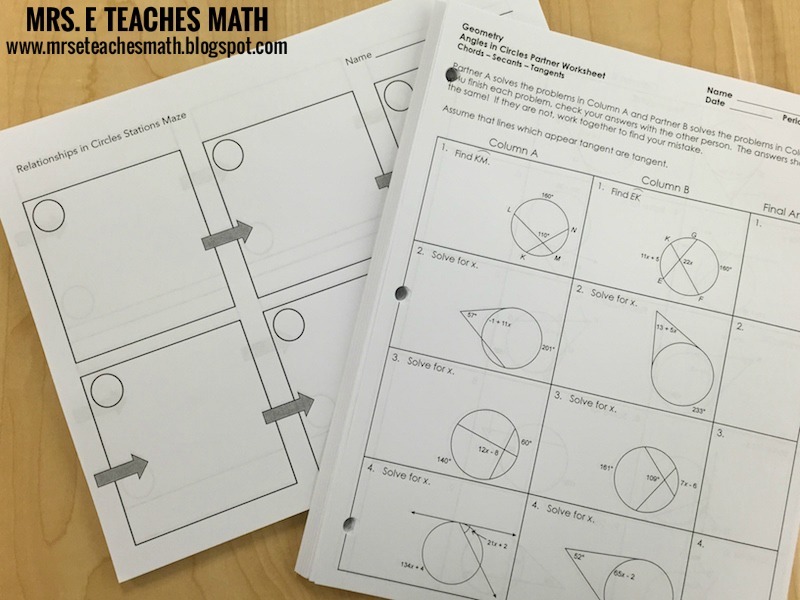 Recently, my students had two days to review before their circles test. The first day, we reviewed all of the properties and theorems together while they made their own study sheets. In order to make it a little more fun, I had them use legal paper and got out markers and colored pencils. It went well, and I’m glad I had my students make their own personalized review sheets. They ended up referring to them extensively the next day. 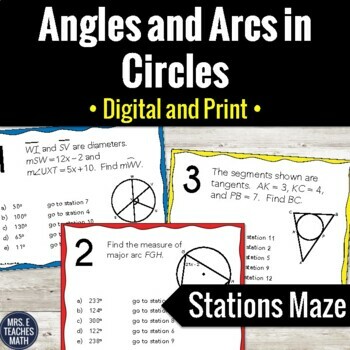 The second review day, I decided to use my Angles in Circles Partner Worksheet (Chords, Secants, and Tangents) and my Angles and Arcs in Circles Stations Maze. My Geometry students are honors students, so they were able to complete both activities in one class period. I don’t know that my previous on-level students would have been able to complete all of it in one class period. I first had my students work on the partner worksheet as their longgg bellwork. It saved me from coming up with bellwork problems and got them started working quietly before the bell. Win! When they were finished, they started the stations maze. I let them choose if they wanted to work with a partner and also which station they wanted to start with. It worked so well! It also gave me a much needed chance to sit down for awhile. 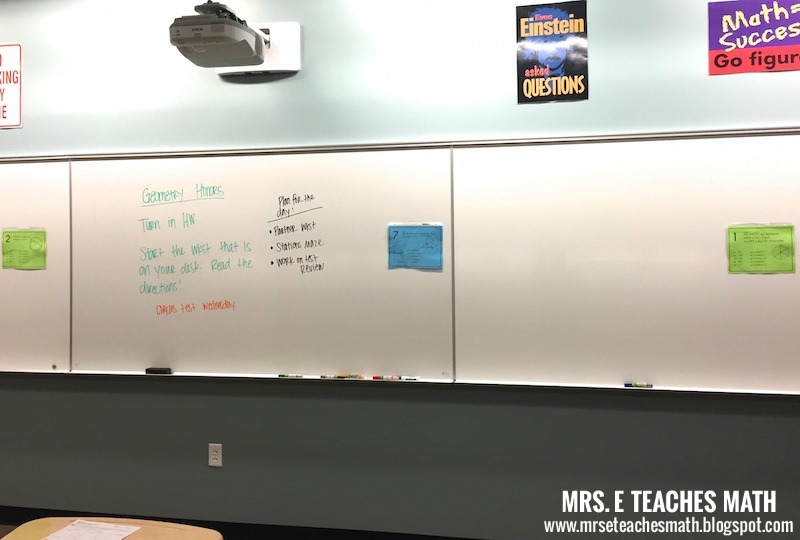 I camped out at a table and had my students come to me with their questions. 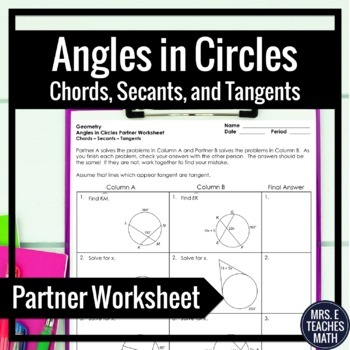 What do you do with your students to review circle properties?